Every senior deserves to live a full and satisfying life. We are committed to providing the support our residents need to live the fullest and most satisfying lives, while treating them with the respect and dignity that they so well deserve. Woodland has an Aging in Place philosophy. We are dedicated to helping our residents receive the care they need at the time they need it. We will work closely with each resident, their family and physician to deliver solutions to extended care needs. Thank you for your interest in Woodland Assisted and Continuing Care Community. 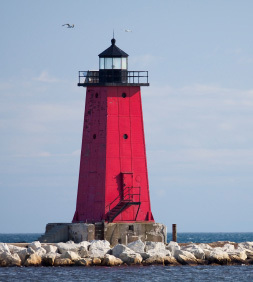 Our quiet, beautiful setting on the west side of Manistique is only minutes from the downtown area, doctor’s offices and Schoolcraft Memorial Hospital. This facility is under the ownership of Melissa Hinkson, effective November, 2012. The residents of Woodland Assisted Living & Continuing Care will benefit from Melissa’s experience and commitment to the industry. Melissa will work with a highly-trained and compassionate staff to provide the highest level of care in the least restrictive environment, just as she has in her other assisted living facilities including Newberry Assisted Living Community, Freighter View Assisted Living and Continuing Care Community in Sault Ste. Marie, Mill Creek Assisted Living Community in Marquette and Mill Creek Memory Care Community in Marquette. Our residence consists of 20 private apartments. In addition to our spacious apartments, our facility features a welcome lobby, a spacious kitchen and dining area, an inviting living and activity room, and a beautiful sun room facing a wooded area. In addition to beautiful living space, Woodland offers exceptional care, delicious meals, extensive housekeeping, engaging social activities, comfortable transportation, and so much more by a caring and professional staff on hand 24 hours a day. We strive to maintain close relationships with our residents, their families, and their health care providers so that we may offer personalized care plans that reflect individual preferences, needs, and abilities. In close, we understand that the decision to leave one’s home and familiar surroundings may be unsettling. Our community will make that transition a little easier. We are here to provide a comfortable, secure environment where you or your loved one can experience a fulfilling quality of life. since it is getting hard on me. and have many things to do. I wanted peace of mind for myself as well as my children. 7 days a week and whenever I need it.